WASHINGTON – Specialty license plates offer motorists a chance to express pride in sports teams, the military and a variety of organizations, and for the past 10 years a different kind of plate has promoted adoption as an alternative to abortion. The “Choose Life” tag celebrated its 10th anniversary in Florida June 10. It is the first official tag designed to encourage women with unplanned pregnancies to consider adoption instead of abortion. Some opponents of the plate say the view expressed on it is that of the state, not just the motorist, and feel a state shouldn’t be involved in any message about abortion, whether it is pro or con. 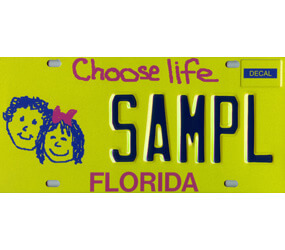 The Florida Department of Highway Safety and Motor Vehicles reported 40,018 “Choose Life” tags were sold in 2008, making it the ninth highest-selling specialty tag that year among the state’s 114 tags. Florida charges $22 for the tag but only keeps $2. The rest is distributed to adoption organizations and agencies that use the funds to provide such things as medical care, food and clothing to pregnant mothers who are committed to putting their child up for adoption. 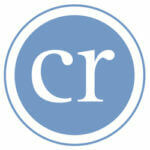 The idea for the tag came from Marion County Commissioner Randy Harris in 1996. After driving behind a vehicle with a specialty license plate, Harris envisioned one of his own that promoted adoption rather than abortion. In 1997, Harris established Choose Life Inc. and by June 1999 his “Choose Life” license plate was signed into law by then-Gov. Jeb Bush. Currently, the tag is available in 18 other states. It also has also been approved in five additional states, including Virginia, where the license plate is scheduled to make its debut in July. Organizations that believe a woman should have a right to choose abortion such as the National Organization for Women, Planned Parenthood and the Center for Reproductive Rights are in contention with Choose Life Inc.’s pro-life license plate. Despite Cohan’s remarks, there are hundreds of legitimate crisis pregnancy centers around the country that offer counseling and assistance to women who choose to give birth. Other groups find fault with the tag’s slogan, preferring it specify a pro-adoption stance, but Smith does not feel that a slogan change will appease opponents. Though the pro-life license plate has resulted in fierce legal disputes in many states, Sister Clare Hunter, a Franciscan Sister of the Eucharist and director of the Respect Life office of the Arlington Diocese in Virginia, has not seen the intensity of opposition present in such states as California, Florida and Illinois though there is some dissatisfaction.